This morning I've got my Google+ Update. And the new design is not bad. I like it somehow. But there is a fundamental problem with this. Inconsistency**. No, I don't mean in comparison with other Google apps. They all can get updated and probably will in June at Google I/O 2014. 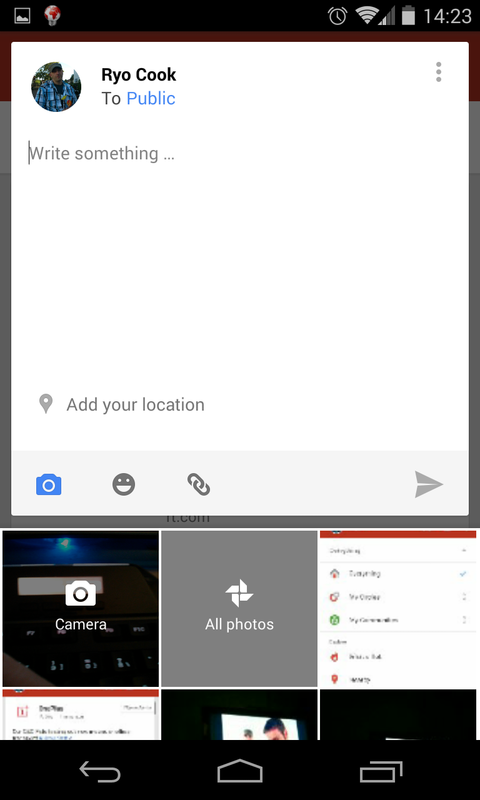 I mean that only a few month back, Google pushed hard for the "Hamburger" menu at the top left side. I thought this was a great move. Now that menu is gone again. Menus are keep moving around the screen every few month. This isn't good. People tend to getting used to the UI. A slighty better UI is more annoying for people than a "not so good" design they are using. You can easily discover that by putting a Windows only user behind the best UI ever. They will feel it's crap. Everything is different, they don't want to learn again and again. And boy, this new G+ app design is different. Some features are apparently gone. But they hide in submenus, or in ridiculous small font lines at the bottom inconsistent in the same menu. The main function, to write a post, even hides as an overlay button. How long until people jokingly put buttons in their photos to drive people insane (hey, good idea :) )? 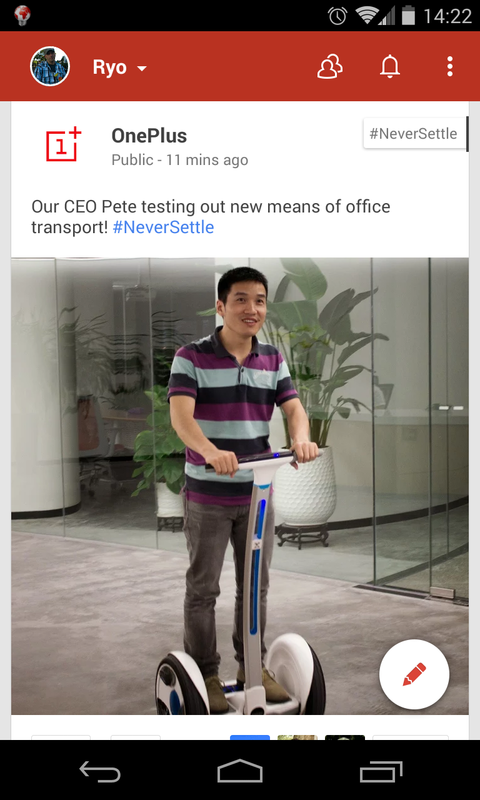 The only thing really got improved is the way you can add photos to your G+ postings. Even a live preview camera thumbnail is available. Nice! 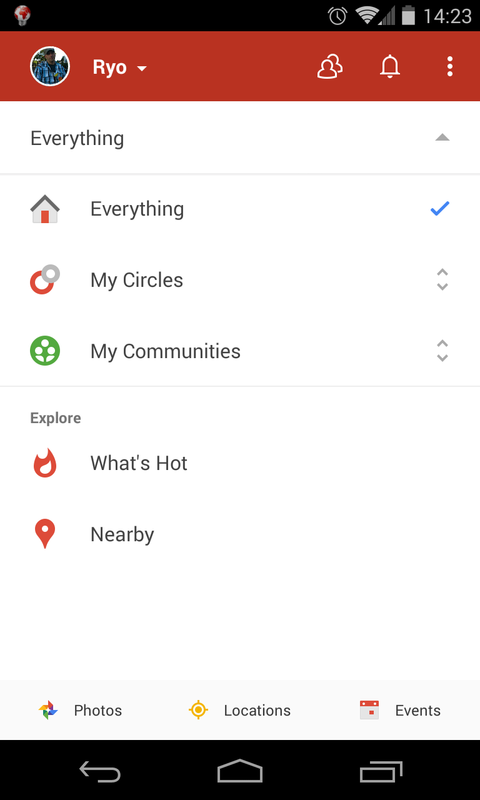 But to say it like this: A very nice design, that brings nothing more on functionality and changes the way you use G+ on mobile again. And the guidelines with the "Hamburger" menu? Please, Google, don't take this away everywhere. It was so good. This menu is... a mess. ** I rarely criticize Google-Updates. Normally I don't chime in on the "OMG, they ruined it". And they didn't ruined it. It's just so annoying and illogical to use.